There is no doubt that the Andaman is one of the most gorgeous places in the word. Travelers fall in love with its evergreen tropical rain-forest of this place. Plus, the corals and the exotic marine life add more attraction to the tourism of Andaman. There are many more wondrous beauty aspects that the Andaman encompasses. Tourists from all over the world visit these beautiful islands to enjoy the relaxing vibes and the micro-culture of these islands. 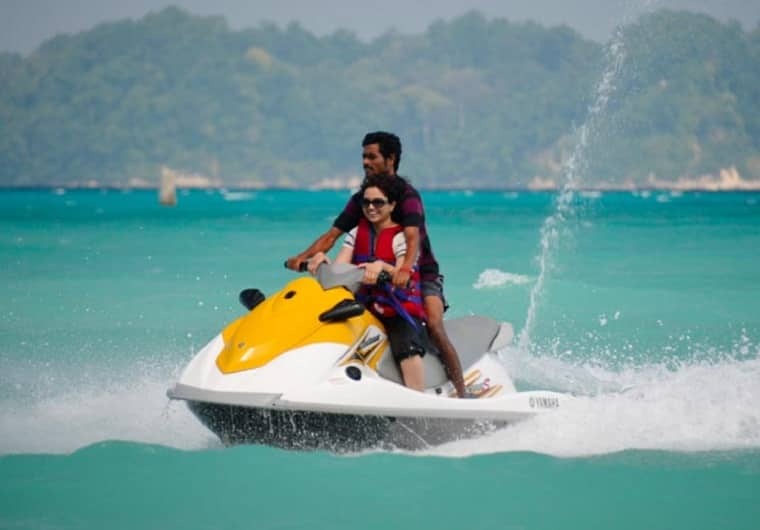 For a relaxing vacation to enjoy with your friends or family, Andaman has a lot of things to offer you. For tourists visiting the magical Andaman Islands, they can choose from exploring the beauty of this island on a guided tour. But, they can also simply set off on their private adventure. Regardless of the choice you make, a little guide to help you explore Andaman Nicobar would always be great. The Elephant beach at Havelock is probably one of the most popular spots for tourists to explore the beauty of Andaman. While there are dozens of fun-filled activities you can take part in, Sea walking is something that you really should not miss out on. This is an experience of a lifetime, where you will literally be walking on the bed of the sea. Gazing at the mesmerizing beauty of underwater life will leave you amazed for sure. It is absolutely breath-taking to see how life underwater is actually not quite different from life as we know it. You will get to know more as you watch the marine creatures go about their normal routines. The options for customized and guided tours are getting more and more popular in the market. You can easily find a travel company which can create a customized tour package for you, fitting into all your needs. You can pick and choose exactly what kind of fun activities you would like to take part in. In addition, you can also choose the hotels you want to stay in. Customized tours also let you select the tourist spots you want to visit in Andaman. Plus, you can also incorporate adventurous activities in your itinerary. In this way, you will be able to enjoy the most comfortable vacation in Andaman. For those who like taking part in the adventurous activities, the glass bottom boat ride is a great option available. Opting for a glass bottom boat ride is the next best way to explore the underwater marine life. You can enjoy the breathtaking views of the ocean from the safety of your speedboat. The bottom of your boat is made of sturdy, thick glass, which allows you to enjoy a full, uninterrupted view of the ocean floor. You get a better view of the marine life, the corals, and the beautiful ecosystem going on below you. There can be nothing more relaxing or soothing than going for long walks along the scenic beauty of Andaman. Whether you decide to take a boat ride, opt for a seaplane, take a cycle, or simply just walk along the innumerable paths, you will always find something new to discover. Andaman is a beautiful and exotic location where something new and exciting lies in every corner. In fact, there is no better way to explore the beauty of this island than by simply taking a few tips from the locals. 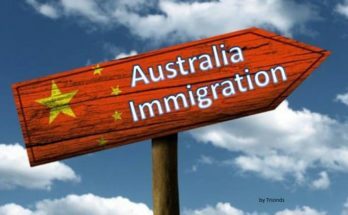 They can help you a lot in setting off on your own adventurous journey. 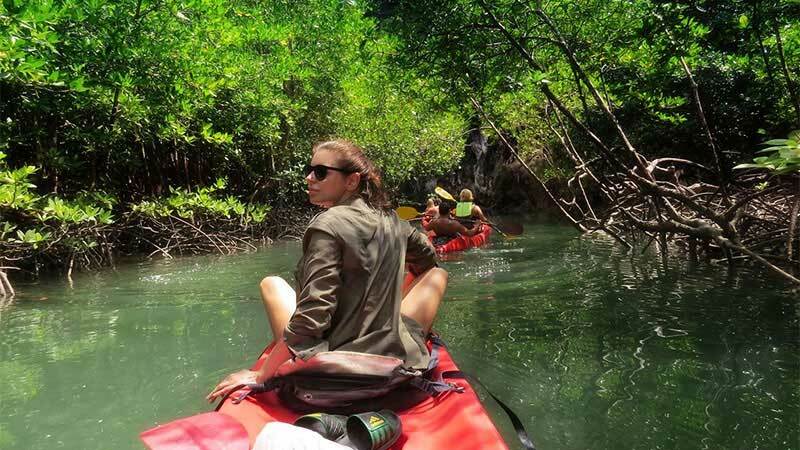 If you want to experience the beauty of Andaman’s mangrove forest then don’t miss kayaking experience. The entire tour usually takes more or less two and half hours. Kayaking through the rich mangroves will fill your heart with pleasure and mind with peace. You will surely thank us later for this tip. Exploring any new place requires a great deal of patience, and some friendly tips and guidance. Without any doubt, the guided tours are always a great way to explore the beauties of Andaman Nicobar Islands. The experts know how to provide you with the best experience of your lifetime. They can also make you feel safe and protected even in the remote areas. Setting off on a solo adventure or going with friends is also a great way to explore different parts of the island.